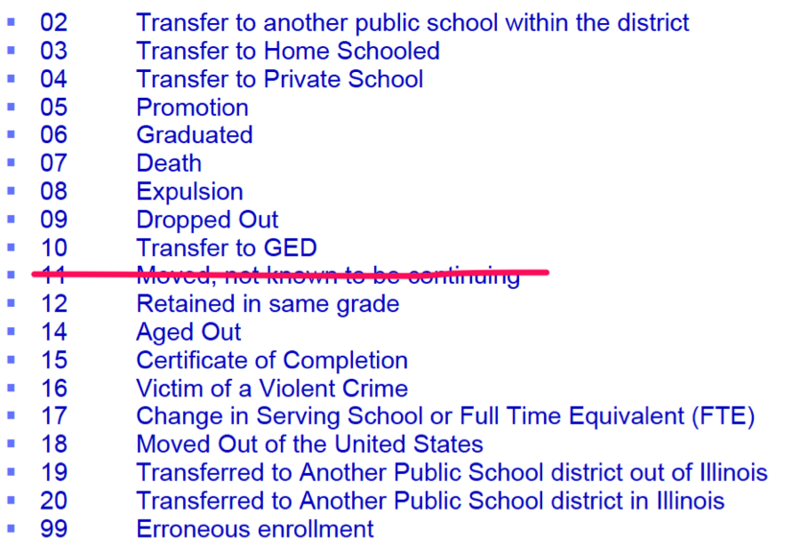 Due to ISBE requirements, Glenbard must follow specific procedures when transferring students in-district in order to be compliant with state requirements. School wanting to enroll the student (guidance/registrar) calls registrar at current school and starts the withdrawal process. For transfer within Glenbard or return from off campus district special ed department will initiate the transfer. Registrar – Gives data specialist the student’s name and ID#. Data Specialist – Make a copy of his current schedule for records and usually copy and paste the schedule (and requests if it is during master schedule time) in an e-mail to the new school (data person). Data Specialist – Manually drop the current schedule, current requests, next year’s requests (if there are any). Data Specialist – Remove the “team” and locker/combination. Data Specialist – Web Help ticket to Powerschool admin for state reporting before withdraw. Wait for the student to be exited at the state level. PowerSchool admin for state reporting will update WebHelp when ISBE exit is complete. Withdraw the student with a code of 02-(Transfer to another public school within the district). Data specialist may then transfer the student to the new serving school. Let the new serving school know the student has been transferred and can be activated. New serving school: Enroll the student. The enrollment date MUST be one day after the exit date at the previous serving school.